Been taking a break from posting here, moving to Instagram instead, since my hobby ADHD makes it kind of incoherent to keep a log. Now, however, with the release of GWs best models in years (subjective, but hey), it seems I'm again on track to actually produce some kind of coherent, and maybe even playable, army again. Kind of rusty with the forum posting skills, so hope the images worked out alright. 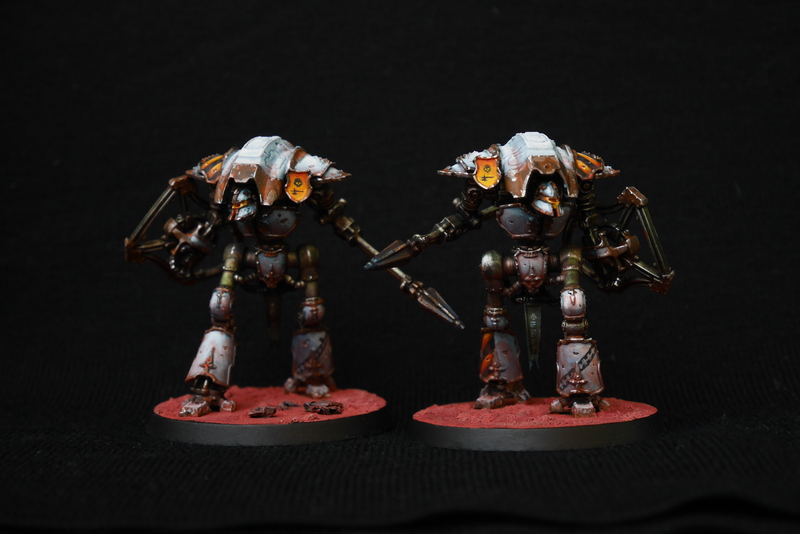 Next up is a banner of two Cerastus Knights, one is 95% finished so should be up pretty soon, fingers crossed. Feels so weird completing a model in a morning after this humongous beast of a kit. 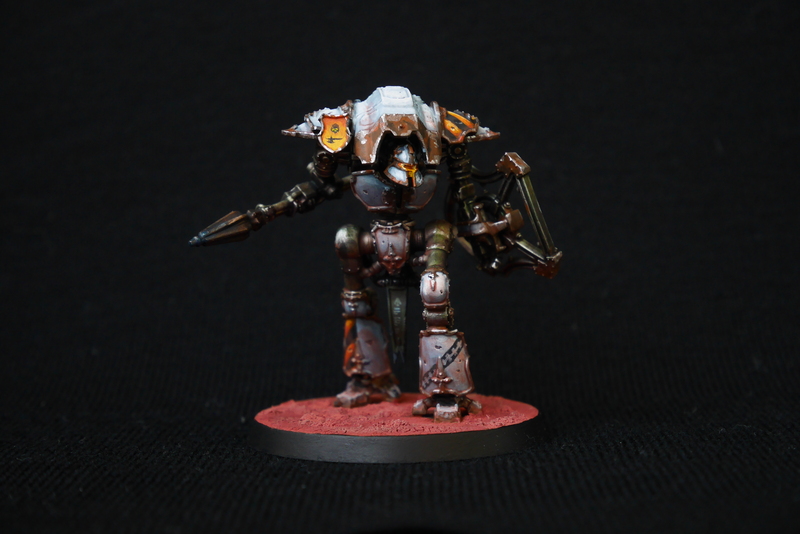 I really like this colour scheme, the orange on the tilt shield has a nice gradient and the glowing eyes against the darker grill give the head a very evil countenance. Sweet! I really like the depth of colour in those chevrons as well as the whole theme. Dark and menacing, with burning eyes glowing in the middle. Cheers guys, glad to hear you like it! Started the second one, hopefully done this weekend, but that's the kind of plan that never works out. Holy crap, these look great! Perfect striping and I love that yellow. To view my older threads, please go to the link HERE and download the add-on to view Photobucket linked images. Solid work on the Cerastus too, the pale blue works well. I like this slightly gritty paint style with the weathering. Those are some really well painted models! 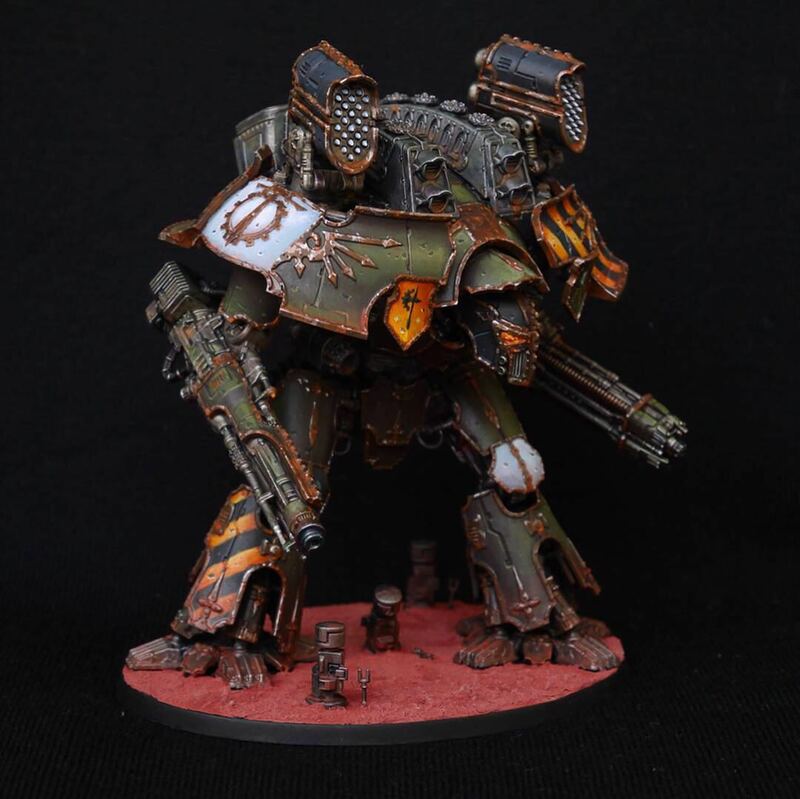 Interesting use of burst cannons on the bases too. They are absolutely gorgeous. I love the evil look from the burning eyes in particular. These are so cool, just wow. The colour combinations and your painting style make them pop. The eyes make them look alive to me. Thanks guys, glad to hear you like them! They are an absolute joy to paint. Those are things of beauty! 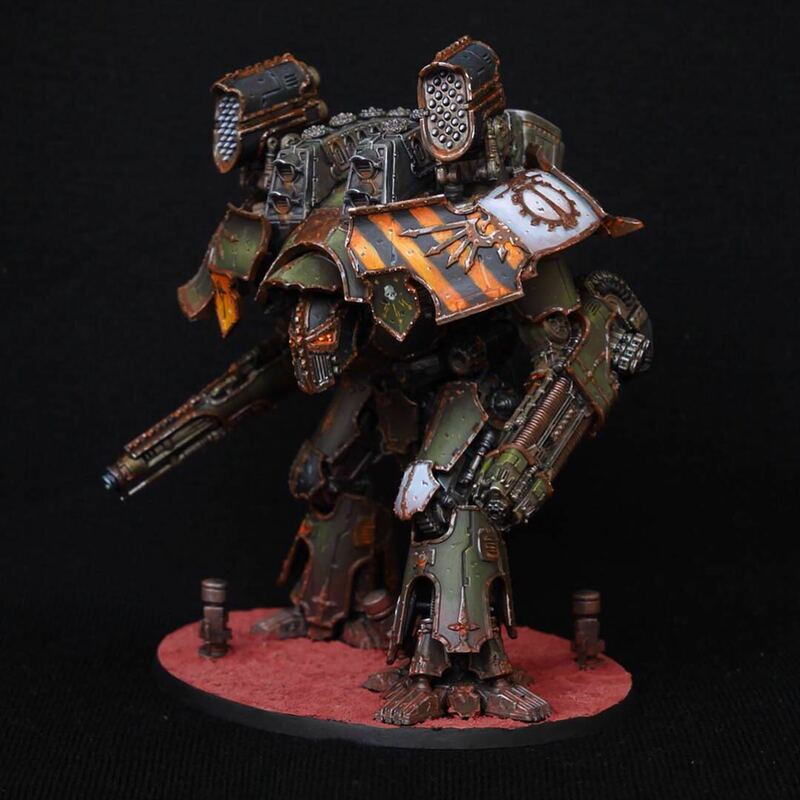 I really love that Warlord Titan! 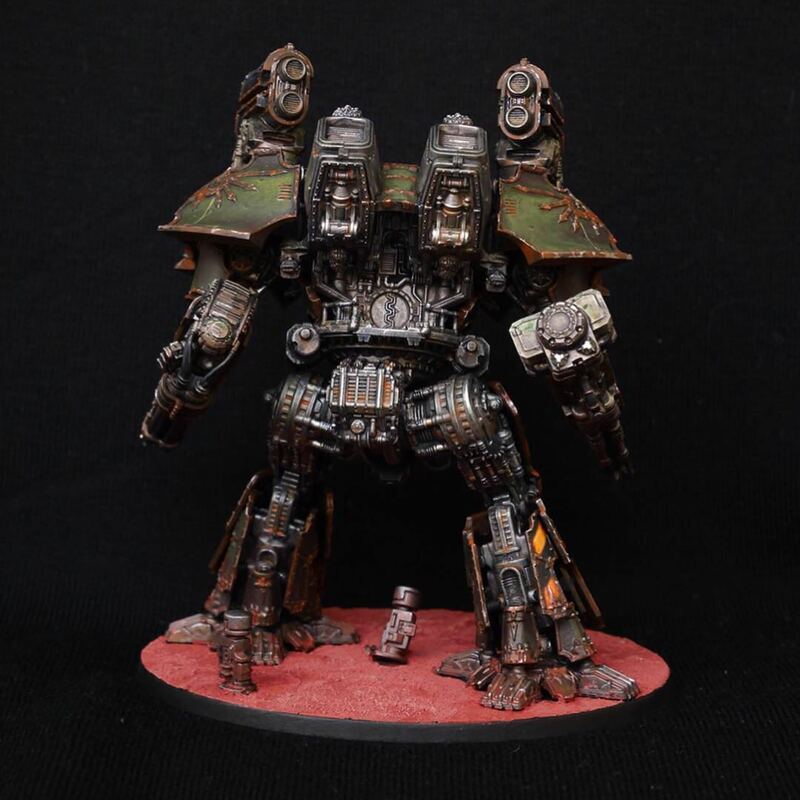 Models are incredible - love the depth of the weathering! Stunning. At first glance on my phone, I thought that was a 25mm scale Cerastus!! Thanks guys, warms my heart it does! You're killin it, man! These are absolutely beautiful. 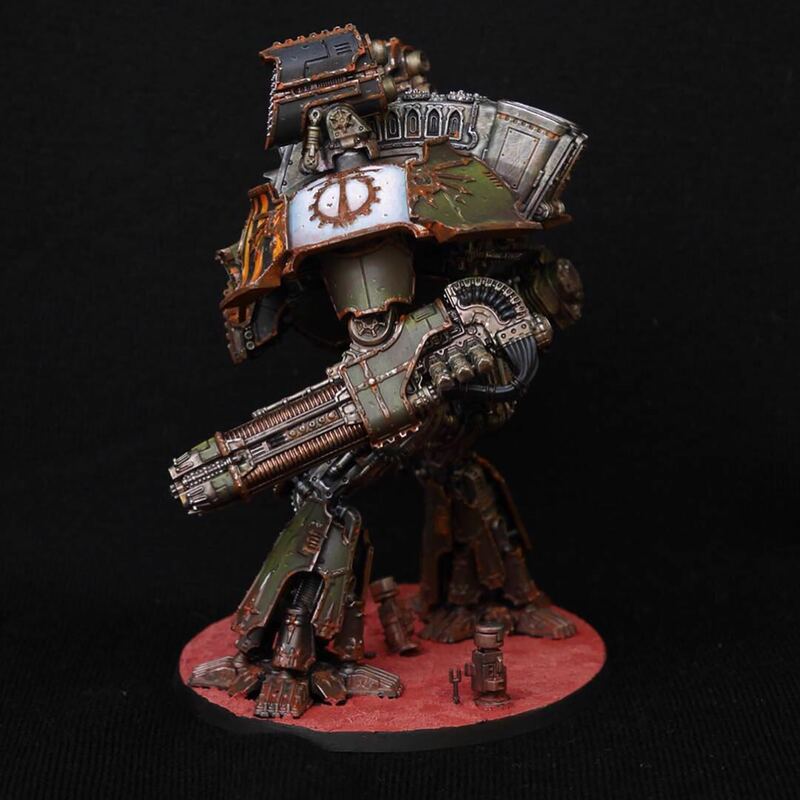 How many models are you planning on painting up? This is going to be one of the coolest forces around. Subtle yet bold at places is just stunning. Continues to amaze! They look so hyper-real, huge fan! 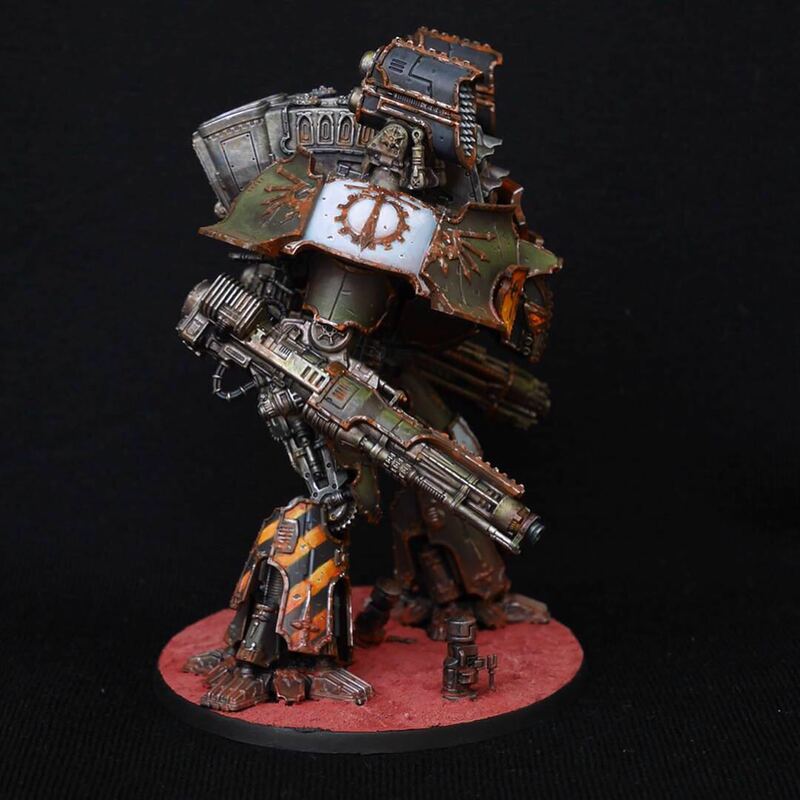 Very nice weathering and battle damage sir. Thanks guys, glad you like them! DuskRaider - This is it for the moment, taking a break painting some Blood Bowl and other stuff, but for me it's really a huge thing being able to finish even a modest force of this size haha. 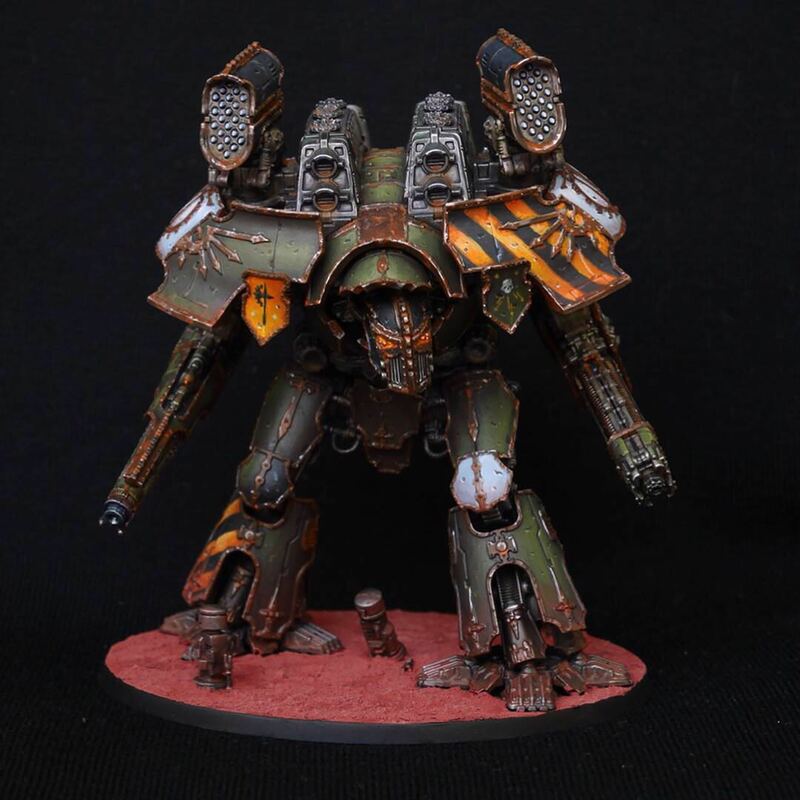 I'm probably going to expand with some warhounds, another reaver, or another warlord down the line, but more importantly if GW releases basically *anything* new I'm going to add it immediately. 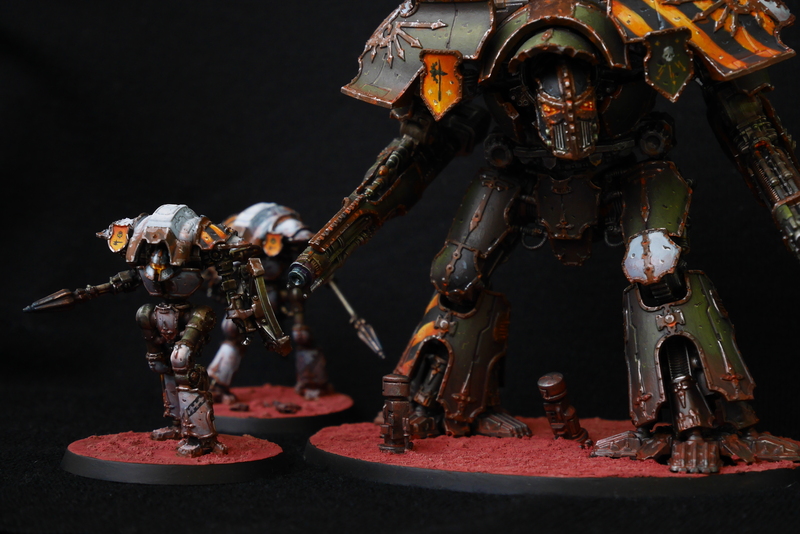 Most of all looking forward to the Warbringer Nemesis and the Acastus Porphyrion, but we'll see what comes our way! Edited by BeatTheBeat, 24 March 2019 - 05:56 AM.